Clay: I'm sending you the code. Mai Lihn: Yes, I see that. Thank you. 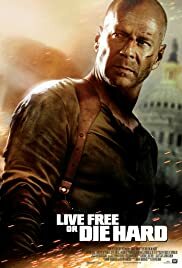 Q: Why is it called "Live Free or Die Hard" in the USA but "Die Hard 4.0" elsewhere? Q: What is 'Live Free or Die Hard' about? Q: Who are the terrorists, and what do they want? 12 years on; McClane is bald, estranged from his family and feels increasingly like an anachronism. There is a strong 'post-9/11' vibe, a muted color scheme and a strangely sombre tone that permeates proceedings. The film covers more terrain (literally) than it's predecessors and the action is slightly episodic as a result of shoehorning a series of mini-showdowns into a plot about cyber-terrorists and an attempt to shut down the US infrastructure. It's handled more deftly and inventively than you might expect, but it's not an obvious marriage. The authenticity of the 'hacking' that takes place is also suspect (webcam becomes spy-cam in the basement of a security obsessed computer nerd?) and there is a horribly misjudged piece of casting in Kevin Smith as a stereotypical basement-dwelling, uber-hacker. (he simply doesn't have the acting chops) Having said all of that, the action sequences are top-notch; brutal and old-school. (with a couple of nods to the 'new', in the form of the stoic but sizzling Maqqie Q and 'le parkour' madman Cyril Rafaelli, whose incredible dexterity is captured to dazzling effect by Wiseman and crew) The performances are mainly strong, especially Bruce who immediately reminds you that you're watching McClane despite the (slightly) sanitized language and vanishing hair. Justin Long is surprisingly engaging as McClane's assignment/sidekick in a role which could so easily have been irritating, and Olyphant, as the main bad guy, gives an intense and charismatic performance full of understated humor and implied menace. 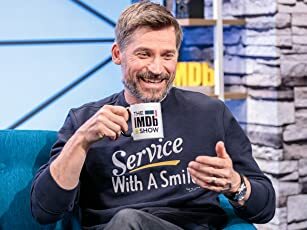 He makes for an interesting antagonist, reminiscent of Rickman's 'Hans Gruber' in the original; a little less verbose, but a similarly charming sociopath with a formidable, sub-zero stare. Even the inclusion of Mary Elizabeth Winstead as McClane's daughter, (another move which, on paper, seemed destined to annoy) works well. She has inherited some of her fathers personality traits to frequently amusing effect, but the film-makers (wisely) avoid the temptation to give her any 'Lara Croft' type abilities in order to appease a wider demographic, a move that would have potentially alienated the core audience - even more than the furore over the PG-13 rating. Speaking of the rating, while the film is light on blood and one particular swear-word, the violence hasn't been toned down at all. If anything, McClane is actually more hardened and brutal than before. Enemies are often dispatched with an efficiency and a ruthlessness commensurate with a man who's done this before. There is also a calm resignation in Willis' body language at times. 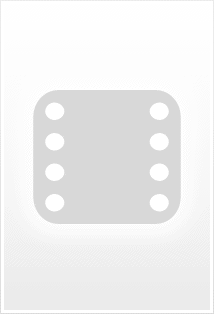 McClane is a man who has found no solace in being a hero; post-divorce and struggling to maintain a relationship with his daughter, (His son is barely mentioned) he feels he has lost the things that matter most to him. This is the single most notable change in the film. Gone is the wild-eyed, heavy-breathing, frantically pacing McClane of the original Die Hard; The man rapping on the windows, desperately trying to signal the fire brigade. Willis communicates this malaise subtly and effectively, prompting the Justin Long character to ask at one point; 'Why are you so calm? Have you done that kinda stuff before?' The direction is astonishingly controlled and confident from the man that bought the world 'Underworld' (He may be one to watch after all.) and, for my money, offers the best spectacle of any film this summer. There is a weight and an impact to the stunts and the fight scenes that comes from using actual stunt-work; so often eschewed these days in favor of scenes built entirely on disk. As mentioned, the tone is slightly subdued for a summer actioner (despite a good number of amusing lines and a healthy amount of self-awareness) which differentiates it from the others in the series. There is a world-weariness amongst the chaos. 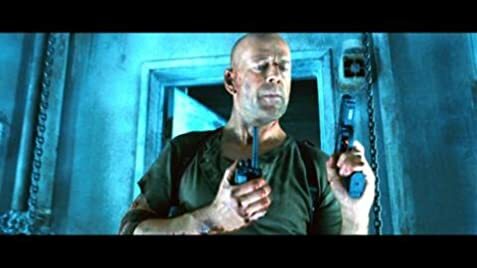 A meditation on being 'that guy' is one of the more inspired exchanges, and the greatest insight into McClane's journey through the missing years. As a result, the audience is not left to enjoy the sense of good triumphing over evil at the end without at least a little remorse about the meaning of it all (It reminded me of one of the great strengths of '24' in that regard.). As the credits roll, all may not be right with the world as would be more typical of the genre, but there are other, more personal triumphs to savor. This gives the film a little more depth than the previous sequels, though it takes some of the edge off the 'octane buzz' that the film injects you with. Nevertheless, this remains significantly the best blockbuster of the Summer Season. It is the first to truly deliver on all it promised (and probably surpasses realistic expectations) It would require a second viewing to determine where it might rank in the series, but it is more than worthy of the name and Die Hard remains, for my money, the undisputed champ amongst action franchises. I humbly request one more installment in which Bruce et al pour heart and soul into creating a worthy send-off and then suggest that Bruce let's McClane retire undefeated. He'll have earned it. 187 of 310 people found this review helpful. Was this review helpful to you?